Launched in 1910 from the American Shipbuilding Company in Lorain, Ohio, the Charles S. Price was an imposing site. Her length was 524 feet, beam of 54 feet and a solid gross weight of 6322 gross tons. While she only served the Great Lakes a short 3 years, she worked hard and provided a great service to the shipping industry of the time. Sadly, she became one of many casualties of the great storm of November 1913. She was found, partially sunk the day after the storm. Given her condition and the way she sat mostly sunk, with her bow above water, a proper measurement to identify her could not be made. Initially, it was assumed that she was the Regina, but a week later she was properly identified as the Price. Salvage rights were sold to the Great Lakes Towing and Wrecking company and an attempt at salvage was made in 1916. At that time she could not be salvaged and attempts were abandoned. 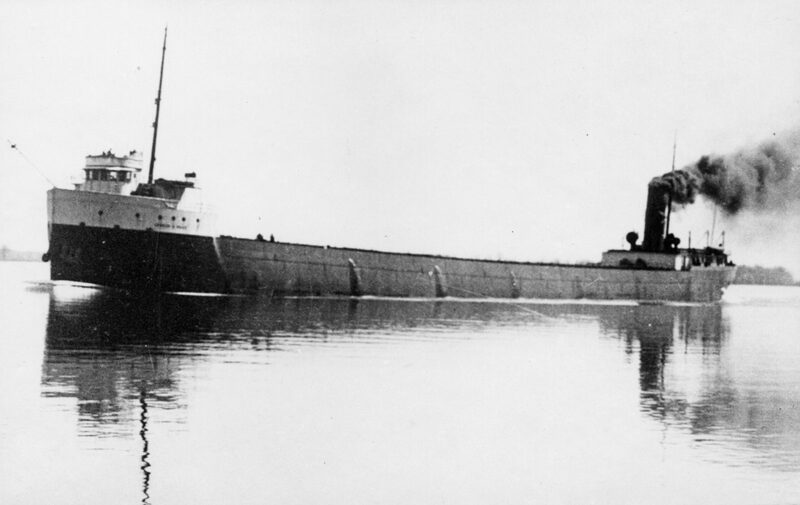 Later, salvage rights were transferred to the American Salvage Company, but they too could not successfully salvage her. With that, the Charles S. Price still rests in 45-75 feet of water, an awesome dive for underwater explorers of all levels. Some highlights include her propeller, rudder, and a large debris field. We visit the Charles S. Price from Port Sanilac on the Go-Between.